Ricardo Zarate and business partner Stephane Bombet have been a busy tandem, opening three restaurants in the past two years. 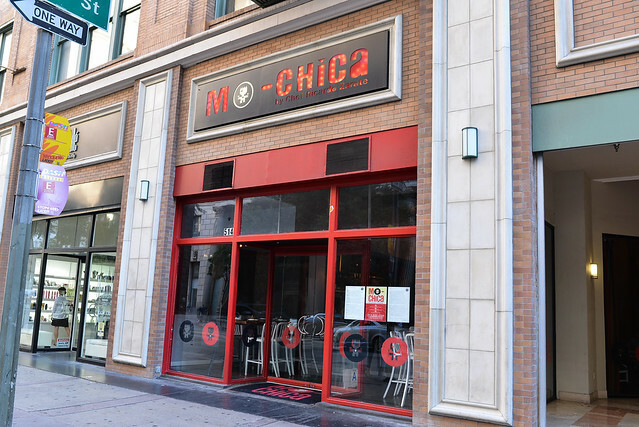 Mo-Chica opened just over a year ago, the current middle-child in the growing group of restaurants. Given its downtown location is very convenient to me, I’ve made more than my fair share of visits for both lunch and dinner. This post actually covers a recent lunch as well as a visit for their special anniversary menu. The lunch special is something my coworkers and I have partaken in a number of times. It’s a good deal for downtown standards; $15 buys a main course that comes with a couple of small sides and dessert. 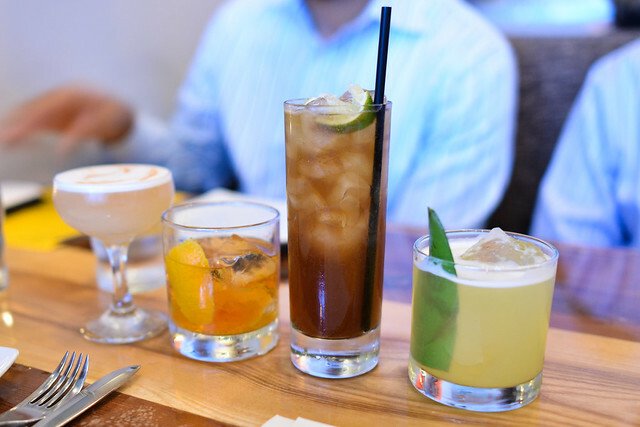 The latest promotion, slightly more limited, was to celebrate their anniversary – the restaurant served a $27 five-course dinner on Tuesdays in June. Ordered a la carte for lunch, this has to be one of the most popular appetizers and one of the dishes that Zarate is most known for. 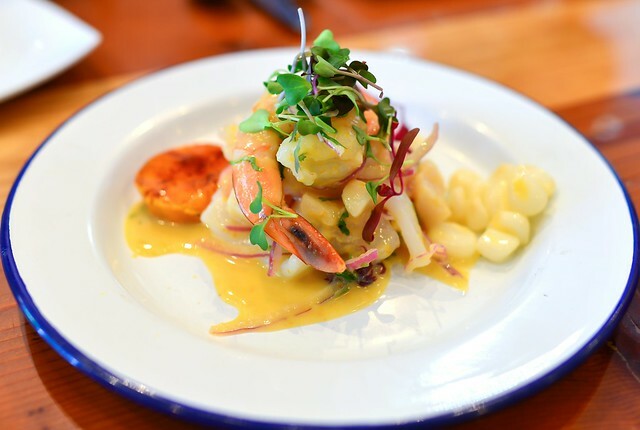 This has always been pretty spot on for me with a variety of plump, sweet seafood and a nice balance of cool citrus and textures. Moist, tender chicken here was paired with a very savory cilantro rice. 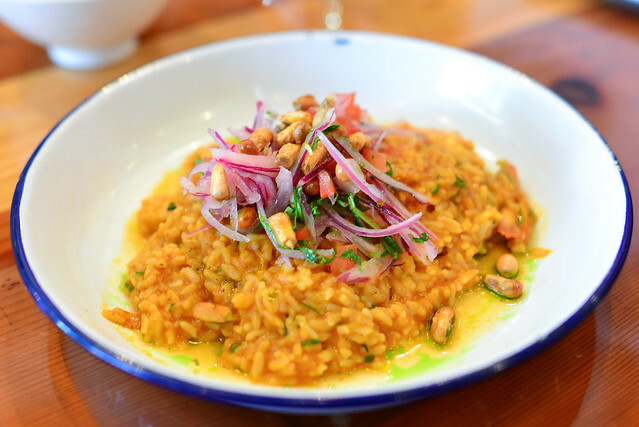 The creaminess of the rice, what Zarate is calling a risotto, really brings more of a comforting feeling to this classic Latin dish. 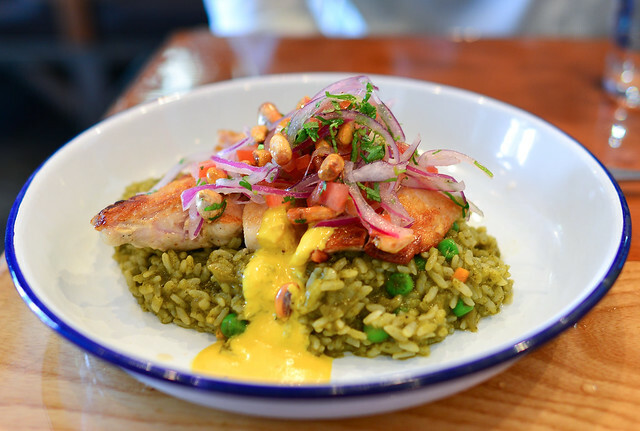 This dish is fairly similar to the arroz con pollo, but obviously with a seafood base. One of my favorite dishes. You don’t stumble upon alpaca very often; here, a tender chunk of the meat (which kind of resembles lamb but not as gamey) sat atop housemade pasta and a buttery aji amarillo sauce. 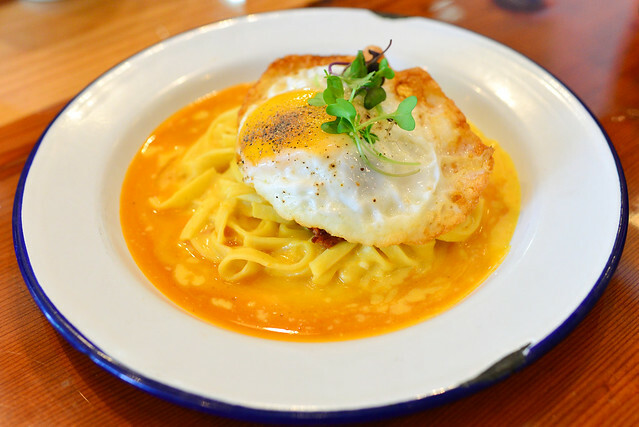 A fried egg topped off the rich bites. 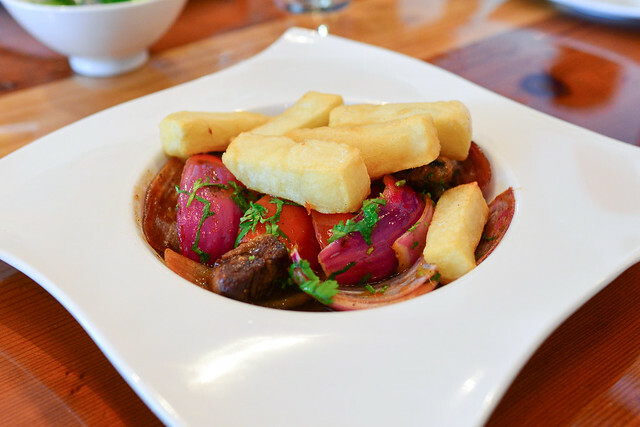 Zarate’s take on the Peruvian classic is a bit more refined, with tender chunks of filet stir fried with onions, tomatoes and a sweet and tangy sauce. I liked the thick cut fries here, which provide plenty of fluffy potato inside its crispy skin. The namesake fish for Zarate’s latest restaurant is the main feature in one of my favorite dishes. 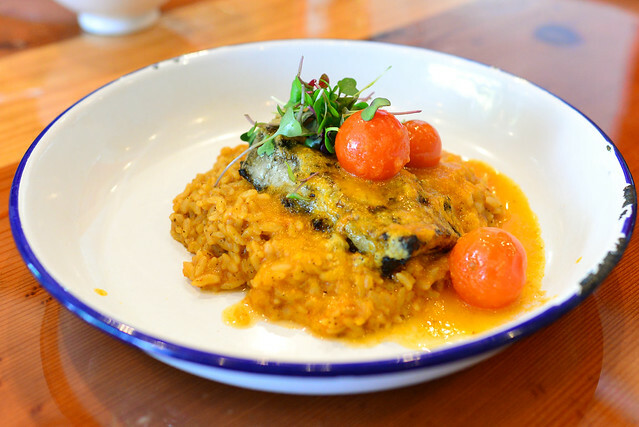 The fish is a moist, flaky white one paired with a creamy rice base. Warm cherry tomatoes pack a bunch of fresh flavor. 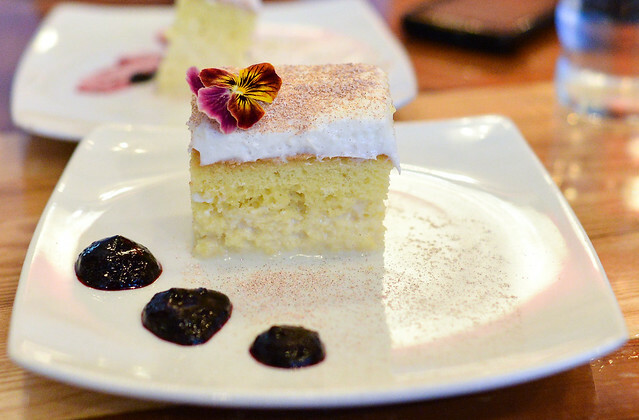 The rotating dessert served on this visit was this tres leches, which happens to be my favorite. It’s extremely moist with just the right amount of sweetness. This has been a hit with the coworkers too every single time. 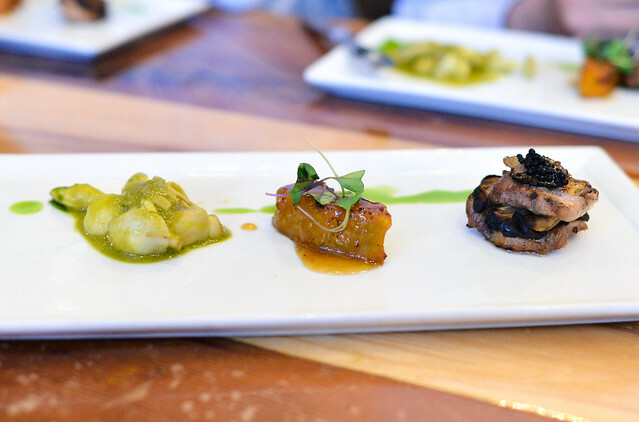 Whereas lunch presented some of the restaurant’s more traditional bold, full-flavored dishes, the anniversary menu showed off a more ambitious level of cooking…most of which the restaurant has never served before. 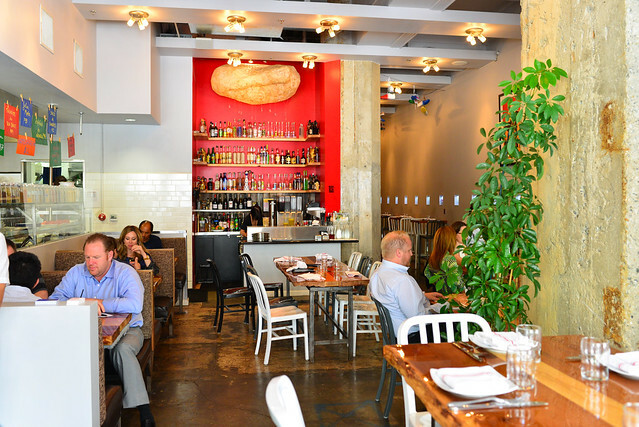 The meal began with Zarate’s Peruvian take on a caprese salad. 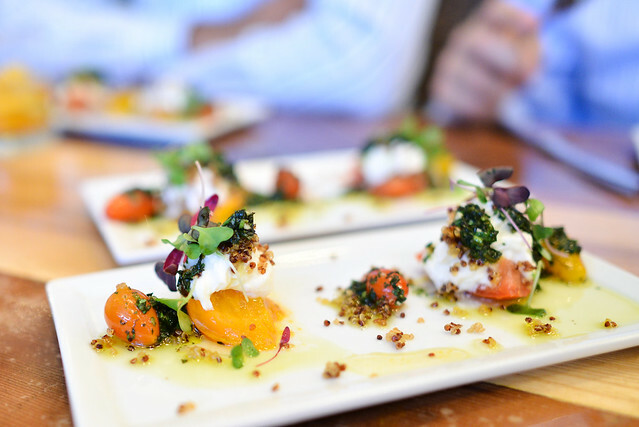 Warm, juicy tomatoes were matched with creamy burrata, while a fried quinoa provided the texture. The oil was slightly heavy-handed, but still provided a rich, fruity dynamic to the bites. Next up was a mini ceviche sampler, of sorts. 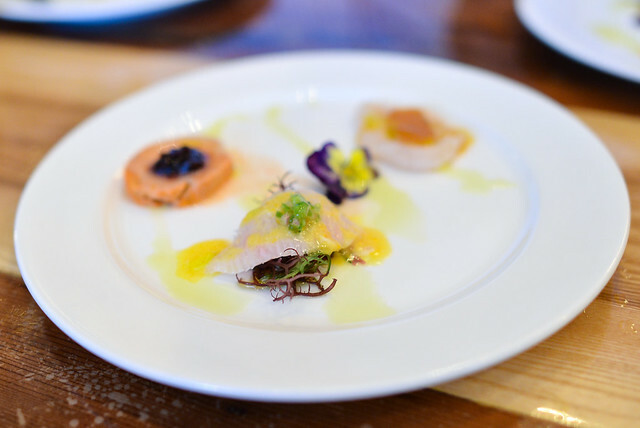 I found these to be a bit unbalanced, with the sweetness of the cherry overpowering the monkfish liver and the seaweed to texturally overshadow the tender hamachi. 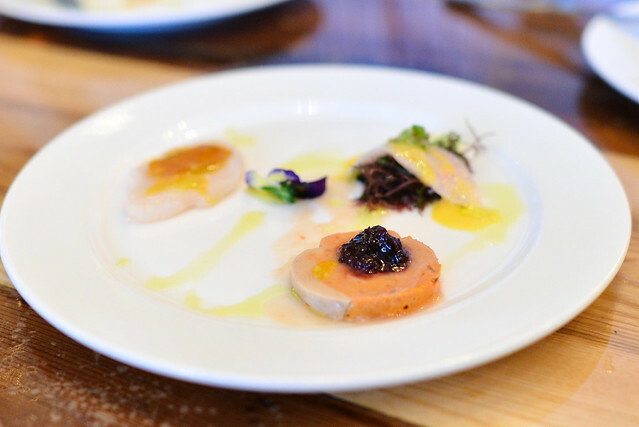 However, the scallops found the right balance with the natural sweetness of the scallop being enhanced by the bottarga. Sweet & sour mushrooms and glazed kabocha squash accompanied the main feature of roasted chicken thigh. It was a small piece, but packed with layers of chicken and earthy mushroom and truffle flavor. Quite nice. 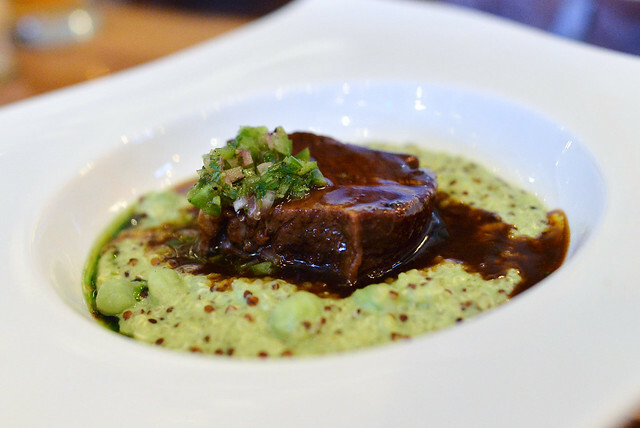 A succulent chunk of short rib made up our last savory course. 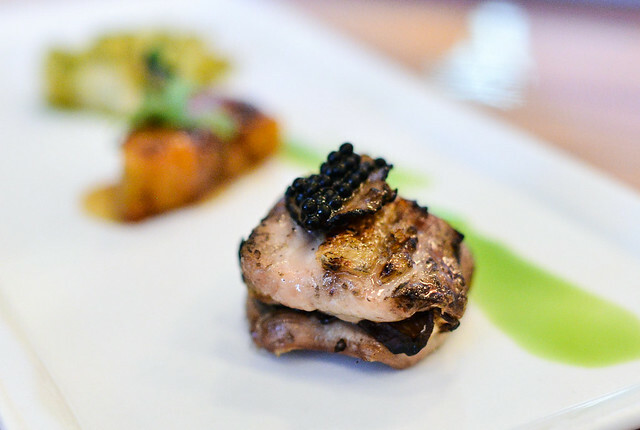 I thought this was very well done with its deep, rich flavor and very tender consistency. The creamy quinoa risotto made for a comforting pairing – definitely a highlight. 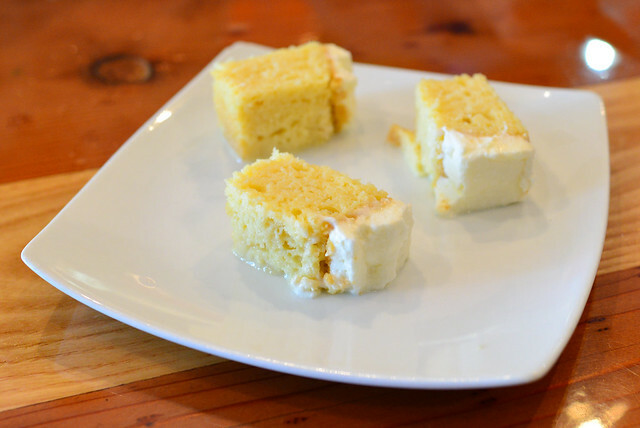 The same tres leches cake from the lunch special made another appearance here. I found my piece to be a bit on the dry side, surprisingly, though the rest of the table found theirs to be deliciously moist. This anniversary menu was a steal at $27 and, while not a lot of food, was enough to be content. It showed off an expectedly high caliber of cooking; it wasn’t flawless, but it was still very satisfying. My coworkers and I will continue to be back, especially for one of the better lunch experiences in the financial district of downtown.